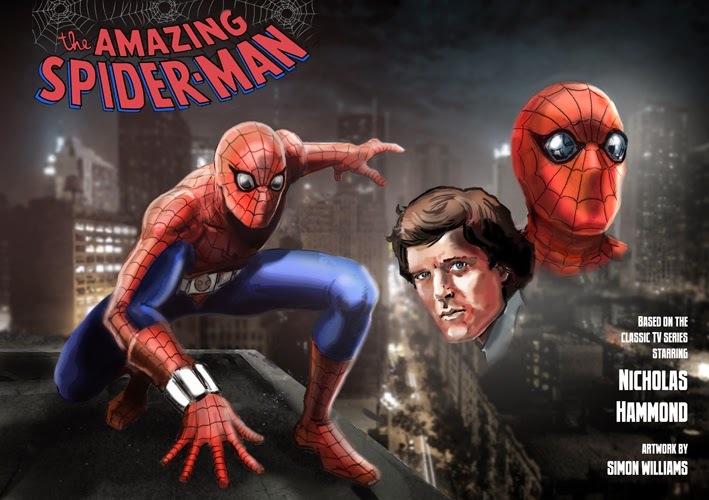 Here's another digi-painting of the Amazing Spider-man... again, based on the classic TV series starring Nicholas Hammond. This pic was pure experimentation... I incorporated the previous Spidey/Nicholas Hammond image into this, to give it more of a poster feeling. I'm really proud of how it's turned out. @Soulman_Inc my pleasure. Stunning artwork, brings back happy memories of my time as Peter Parker. Thank you for the kind words, Nicholas... you are the (Spider-)MAN!